Help celebrate the most famous video game character of all. It's that time of the year again, friends. Tomorrow is March 10, also known as MAR10 Day, which means it's time to celebrate the legendary italian plumber himself. While more of a "May the 4th be with you" situation than a day that actually has any importance to the franchise, it's a day that has gained traction with not just fans, but Nintendo themselves. To help spread the love to those who really need it, Nintendo is making a donation to the Starlight Children's Foundation, which aims to improve the lives of seriously ill children. As a symbol of this, they'll be producing some new colorful, Mario-themed gowns for the kids to wear in place of their boring old hospital gowns. Of course, what better way to help celebrate Mario Day than by playing Mario games. To help with this, Nintendo will be offering sales on select digital Mario titles through Amazon. My Nintendo will be home to some celebration of its own, with offers such as 30% off Mario Kart 8 for the Wii U, the Mario Kart 8 DLC Pack 2, and a couple of Mario-themed wallpapers. 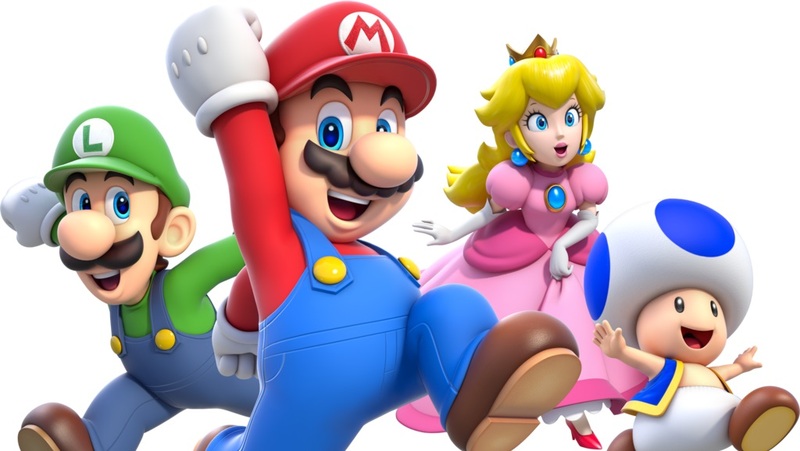 Over the weekend Mario will get a bit of extra spotlight as well, with Nintendo showing up at both the Kid's Choice Awards 2017 and PAX East, where they'll be letting fans try out Mario Kart 8 Deluxe for the Switch. Have a good Mario Day folks. Play an old Mario game you haven't touched in a while, maybe I'll do the same. Does Super Mario RPG count? That's the best one.